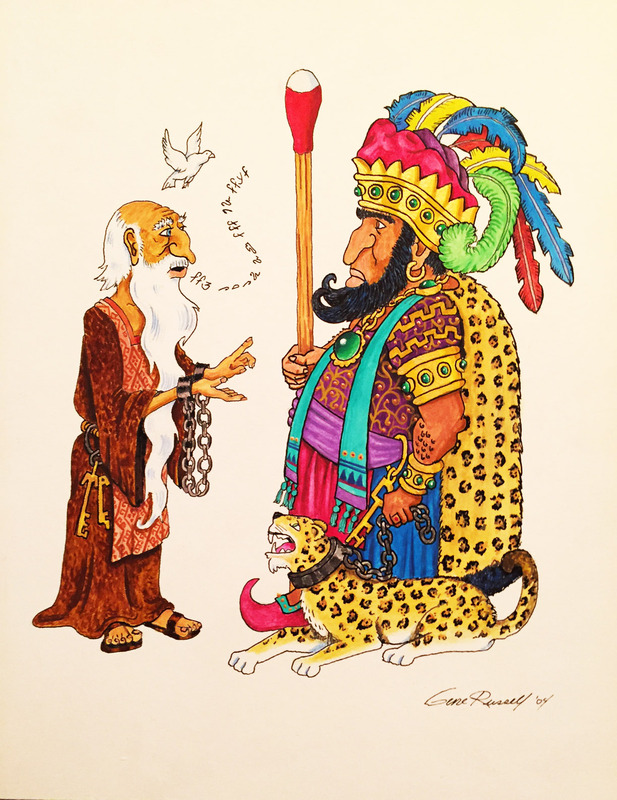 This illustration I did of Abinadi and King Noah is full of symbolism. Abinadi has the keys to the Aaronic and Melchizedek priesthoods on his sash. Noah has the key to the dungeon on his sash. Noah is showing his compassion by wearing the young jaguars mother on his back. The young jaguar is roaring at the dove, representing the Holy Ghost. The Egyptian characters coming from Abinadi read, "Even as ye do unto me". Noah's staff is a strike anywhere match. I illustrated it in pen and ink and watercolored it. Done on Illustration board.